No one likes to look like they are getting older, but feeling like you are getting older is just as rough. Anti-aging therapies like hormone replacement treatment are aimed to help restore the feeling of youth, reducing the signs and symptoms of aging like increased fatigue, insomnia, and sexual dysfunction. When you are looking for potential anti-aging treatments, it is a good idea to have a look at the medical options that will provide you with the most benefit. For example, while Botox is a great tool to reduce the appearance of wrinkles, it is also a useful medical treatment for the reduction of migraines, and has been used for several other medical purposes in the past to great effect. 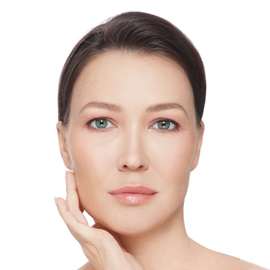 The non-surgical reduction or even elimination of lines and wrinkles, especially around the face. Botox is also proven to lift the brow, which can drop lower and lower over time and create a look of excessive tiredness. Using Botox in targeted areas can decrease excessive swelling around the body, including in the underarms area. The above benefits are why Botox has become such a staple in both cosmetic and anti-aging therapy for both men and women, but the benefits of Botox don’t stop at the surface. Botox has become one of the leading therapy options in the treatment of migraine headaches. By using Botox injections in targeted areas that are associated with migraine triggers it is possible to reduce the frequency and severity of the headaches without the many side-effects that are associated with so many migraine medications. In addition, Botox has been found helpful in the treatment of urinary incontinence, can help reduce the frequency and severity of muscle spasms among individuals who have MS, and can be used to reduce pain and swelling in chronic injuries like tennis elbow. While Botox may have earned its reputation off of cosmetic enhancement, that is far from all that Botox can do. Knowing the many different medical uses and benefits of Botox may help some feel more comfortable in turning to the therapy for cosmetic purposes, as Botox is the most successful treatment option in the reduction and even elimination of fine lines and wrinkles. For more information about Botox or other anti-aging and cosmetic treatment options, schedule an appointment with Dr. Sand.